The National Endowment for the Arts (NEA) and the Poetry Foundation present Poetry Out Loud: National Recitation Contest, in partnership with the Alabama State Council on the Arts (ASCA) and the Alabama Alliance for Arts Education (AAAE). Poetry Out Loud is a program that encourages high school students to learn about great poetry through memorization, performance, and competition. Beginning now, and continuing through December, schools are invited to participate in classroom and school-wide contests, advancing to a regional competition in late January and finally a state competition on Monday, February 17, 2014, at the Alabama Shakespeare Festival in Montgomery. The Alabama State Champion will advance to the National Finals in Washington, D.C., on April 28-30, 2014. Students who participate in the official Poetry Out Loud program may be eligible to compete in the State and National Finals in 2014. Each winner at the state level will receive $200 and an all-expenses-paid trip to Washington to compete for the national championship. The state winner’s school will receive a $500 stipend for the purchase of poetry books. One runner-up in each state will receive $100, with $200 for his or her school library. Poetry Out Loud will award a total of $50,000 in scholarships and school stipends at the National Finals, with a $20,000 college scholarship for the Poetry Out Loud National Champion. 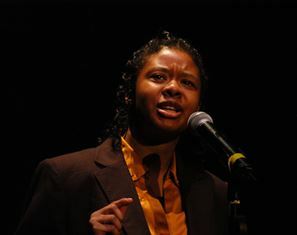 Sabria White, a student from New Century Technology High School in Madison County was selected as the 2013 Alabama Poetry Out Loud champion and represented the state in the 2013 National Finals in Washington last April. Alabama has added its own unique element to the program, providing an opportunity for students to recite poetry that they themselves have written. The 2013 winner was Bonny Chen from Auburn High School. She recited her original poems “Legs” and “The Virtue of Triangles.” The Alabama Writers’ Forum provides cash prizes for the Original Poetry Competition. The program seeks to foster the next generation of literary readers by capitalizing on the latest trends in poetry—recitation and performance. The program builds on the resurgence of poetry as an oral art form, as seen in the slam poetry movement and the immense popularity of rap music among youth. Poetry Out Loud invites the dynamic aspects of slam poetry, spoken word, and theatre into the English class. Through Poetry Out Loud, students can master public speaking skills, build self-confidence, and learn about their literary heritage. High school teachers who are interested in participating in Poetry Out Loud should know that the program requires less than two or three weeks of class time. High schools that wish to be part of the official Poetry Out Loud program must contact the Alabama State Council on the Arts or the Alabama Alliance for Arts Education to participate. Schools will be referred to their regional coordinator for application to the program. Space is limited, so schools will be accepted on a first come first serve basis. Poetry Out Loud is a national arts education program that encourages the study of great poetry by offering educational materials and a dynamic recitation competition to high schools across the country. The competition uses a pyramid structure. Beginning at the classroom level, winners advance to a school-wide competition, to a regional competition, to the state competition, and ultimately to the National Finals in Washington. The NEA and the Poetry Foundation will each contribute towards the 2014 Poetry Out Loud program in support of materials, grants, prizes, and the National Finals next April. With this support, four regional competitions will be established in Alabama. The Alabama Alliance for Arts Education will work with regional partners to offer state-wide participation. Additionally, the NEA and the Poetry Foundation will provide free, standards-based curriculum materials for use by participating schools. These materials include print and online poetry anthologies, a teacher’s guide with sample lesson plans to help instructors teach recitation and performance, and an audio CD. Program materials are available for download on the Poetry Out Loud website, which also offers additional resources. For further information on Poetry Out Loud, contact Diana F. Green, ASCA Arts in Education Program Manager at, 334-242-4076 Ext. 241 or visit www.poetryoutloud.org. The Poetry Foundation, publisher of Poetry magazine, has embarked on an ambitious plan to bring the best poetry before the largest possible audience. In the coming year, the Foundation will launch a major new poetry website and sponsor an unprecedented study to understand poetry’s place in American culture. Founded in Chicago by Harriet Monroe in 1912, Poetry is the oldest monthly devoted to verse in the English-speaking world. Harriet Monroe’s “Open Door” policy, set forth in Volume I of the magazine, remains the most succinct statement of Poetry’s mission: to print the best poetry written today, in whatever style, genre, or approach. The National Endowment for the Arts is a public agency dedicated to supporting excellence in the arts – both new and established – bringing the arts to all Americans, and providing leadership in arts education. Established by Congress in 1965 as an independent agency of the federal government, the Endowment is the nation’s largest annual funder of the arts, bringing great art to all fifty states, including rural areas, inner cities, and military bases. The mission of the Alabama State Council on the Arts is to promote Alabama’s diverse and rich artistic resources while highlighting excellence and educational experiences. 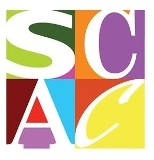 The Council is the official agency for the support and development of the arts in Alabama. 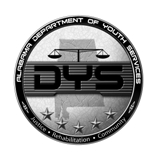 It was established in 1966 by an act of the Alabama Legislature. The goal of the Arts in Education program is to provide opportunities for Alabama students to learn in, through and about the arts, ensuring arts as an integral and essential component of education in the State of Alabama.